Miguel Cardoso takes over on a two-year contract after guiding Rio Ave to fifth in the Portuguese league last season. NATES: French outfit Nantes appointed Miguel Cardoso as coach on Wednesday as replacement for Claudio Ranieri, the Ligue 1 club announced. 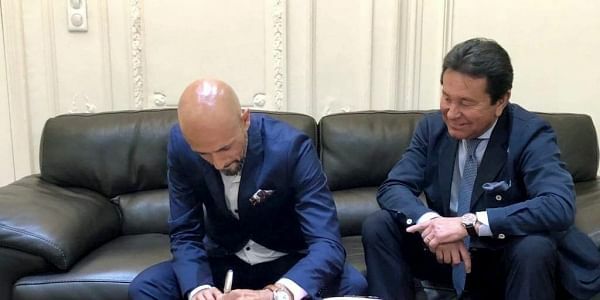 The 46-year-old takes over on a two-year contract after guiding Rio Ave to fifth in the Portuguese league last season. Cardoso said on his Twitter account: "Proud to join Nantes. A club with a great history, identity and supporters who, like me, are passionate about football. Looking forward to starting work as a Canari!" Nantes, who play in yellow, last won the French title in 2001 and are owned by Polish born businessman Waldemar Kita. Ranieri left Nantes at the end of last season after just one year in charge.